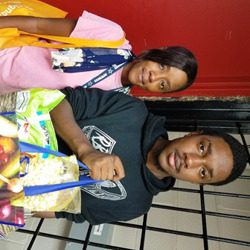 Healthy School Pantry provides low-income students and their families with a monthly box of nutritious food that is easily accessible because they pick it up at school. For many students, school meals are their primary source of nutrition because they go home to empty shelves. 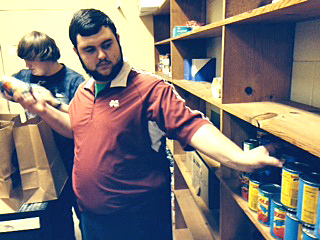 Healthy School Pantries are primarily located in high schools. The fact that the food is distributed in a discreet manner is important. Each food box includes printed nutrition education materials and recipe suggestions for the food in the boxes. Healthy School Pantry sites are chosen based on the poverty level of the neighborhood where the school is located and the percentage of students receiving free or reduced school meals. When choosing the place to locate the Pantry, we look for a place that can be dedicated to the Pantry so it will remain consistently in the same location. The Food Bank has set distribution criteria and works with the school to establish procedures and schedules to offer ongoing food assistance services.